This article contains interesting information and trivia with numerous American Flag Facts. Ideal as an education resource for kids, children and schools, or anyone interested in the most famous symbol of the United States of America. Discover answers to questions like "How many stars on the American flag" or "What is the history of the Stars and Stripes"
Discover fast, fun facts for kids in a helpful fact file format with this interesting fact sheet providing American Facts. A free educational resource for kids, children, schools and teachers. Facts: The American Flag was 'born' on June 14, 1777. The American Flag Facts provide random trivia and information about the Stars and Stripes? The American Flag Facts provide answers to questions like "How many stars on the american flag?" or "What is the meaning of the Stars and Stripes?" The colors and design is not arbitrary but has a definite symbolic meaning, so check out the American Flag facts to discover answers to all of your questions. The canton (stars) are referred to as the "union"
American Flag Fact 4: Nicknames: It is also referred to as the Stars and Stripes, the Red, White and Blue, Old Glory, and the Star Spangled Banner. American Flag Fact 8: Robert Heft is the name of the man credited with designing the current American Flag. 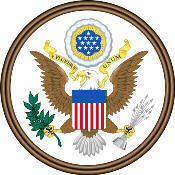 The 1958 updated design by Robert Heft featured 50 stars. 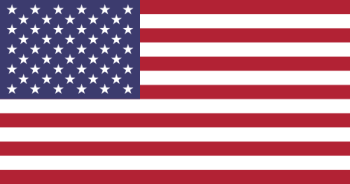 American Flag Fact 11: 1777, June 14 - History: The Second Continental Congress passed a resolution saying: "Resolved, That the flag of the thirteen United States be thirteen stripes, alternate red and white; that the union be thirteen stars, white in a blue field, representing a new constellation." American Flag Fact 12: Problem! The resolution did not define how the stars should be displayed or how many points each of the stars should have. This resulted in a variety of different designs depicting 5 or 6 pointed stars and with stars arranged in rows but some depicted stars in a circle. American Flag Fact 13: History: The 15 stars and 15 stripes design was adopted when Vermont and Kentucky were added to the original 13 Colonies. American Flag Fact 14: History: Following the Civil War (1861 - 1865) additional stars were added every time a state achieved statehood. American Flag Fact 20: History: The Stars and Stripes first flew in a Flag Day celebration in Hartford, Connecticut during the first summer of the Civil War. American Flag Fact 21: There is a special US code that details use and care of flags. This U.S. federal law document sets the standards in the way it should be used, displayed, folded and even disposed of! American Flag Fact 23: The United States Code allows the President to make changes, or include any additional rules, to the code and protocol. American Flag Fact 27: When flags are tattered or worn they are destroyed in a dignified way, preferably by burning. American Flag Fact 28: The are special rules and protocol for the displaying US flags in the rain, at night, in a classroom, at church, at home, outdoors, vertically and with State flags. American Flag Facts 31: The method of folding US Flags requires 13 folds, each of which has been unofficially ascribed a highly significant and patriotic meaning. American Flag Facts 32: The 13 folds are symbolic of life, the Christian religion, trust in God and eternal life. The meanings of the remaining folds pay tribute to the Armed Forces, the veterans, those who have died for their country and for their mothers and their fathers. 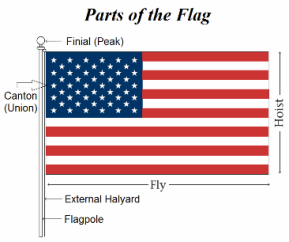 American Flag Facts 33: The specifications and dimensions of flags ensure that the Stars and Stripes are all correctly proportioned and the correct size. American Flag Facts 36: The most popular siizes are 2 × 3 ft. or 4 × 6 ft. (flag ratio 1.5), 2.5 × 4 ft. or 5 × 8 ft. (ratio 1.6), or 3 × 5 ft. or 6 × 10 ft. (ratio 1.667). American Flag Facts 38: The Pledge of Allegiance words are said as the salute to United States flags and are accompanied by the hand-over-the-heart gesture. American Flag Facts 39: The patriotic Pledge of Allegiance honors the United States of America with its principles of freedom and justice for all. American Flag Facts 40: The American's Creed is a statement of principles and beliefs that proclaims loyalty to America and was adopted by the U.S. House of Representatives April 3, 1918.